Lipoclen Fat Burner Review: Does Lipoclen Work? Home » Detox » Lipoclen Fat Burner Review: Does Lipoclen Work? Before I discuss the ingredients in Lipoclen, let’s first discuss the whole “detox” thing. Unless you’ve been stranded on a desert island for the last few years, you’re probably aware that “detoxes” and detox-products are all the rage these days. It’s not surprising, therefore, that someone decided to capitalize upon both the detox craze and the growing obesity epidemic and create a product like this. The toxins in the ads are never explicitly identified, but are described in menacing terms: they’re all around us, in our air, food and water. In the world of genuine science, “toxins” have names. We know what they are. We know what they do. Most importantly, we know how to measure them. If these various products actually DID reduce toxins we are regularly exposed to (such as dioxin(s), PCBs, and methyl mercury), it would be easy enough to prove. Yet no proof of effectiveness is ever offered. Why do you think that is?Additionally, the toxic substances of greatest concern are the ones stored in tissues and/or eliminated relatively slowly from the body. Detoxification products will do little to affect this process. In 2007, scientists from the charitable trust “Sense About Science” reviewed 15 “detox” products—ranging from facial scrub to bottled water—and found the claims to be largely meaningless. The term “detox” is nothing more than a marketing term. They have compiled their findings in a dossier, which I recommend you download and read! Nor is there any evidence that “detoxing” will help you lose weight—as claimed by the Lipoclen advertising. “Proven”?? In light of the discussion above, this is a contradiction. When it comes to detox supplements, nothing is proven at all. Unfortunately, products that contain a lot of ingredients are less likely to contain potent dosages of the individual ingredients than less complex formulas. Because capsule size is limiting. The largest capsule most people can tolerate (size 00) will hold a maximum of 600-1000 mg of ingredients or so (how much exactly depends on the density of the ingredients included). A large, 4-cap dose will give you a maximum of 4,000 mg of ingredients to play with, but commercial products usually supply a lot less. When ingredients need to be present at doses of 200, 300 or even 500 mg to have any effect, you quickly run out of room. Therefore, most ingredients in “clown car supplements” like Lipoclen can only serve as “label dressing.” In other words, they make the label appear impressive, despite the fact that most ingredients are not present in a dose strong enough to actually do anything. The green tea needs to be of high quality and standardized for essential catechins (like EGCG) in the appropriate amount. Is it here? Who knows? Since the label doesn’t indicate that it is, it is very unlikely. Despite the positive data, green tea’s effects are subtle. One study, for instance, shows that green tea can elevate the metabolism by 4%. That sounds pretty impressive until you recognize that it equates to around 100 calories for the average person. Obviously every little bit helps, but if you’ve got 10-20 pounds to lose, a supplement that helps you burn an extra 100 calories per day isn’t going to make a whole heck of a lot of difference. 2. Dandelion (500mg), Uva Ursi (250mg) and Buchu Leaves (250mg): These three ingredients are commonly used as diuretics. You’ll also find them in products claiming to offer “detoxing” benefits, although there’s absolutely no evidence any of these ingredients can “draw” deep seated environmental toxins from the body. 3. Potassium gluconate (100mg): As the name suggests, this is a source of potassium. While it’s true people need more potassium, the recommended amount – 4700mg/day for adults – is large. The 100mg of potassium gluconate (which is not 100% potassium) is negligible by comparison. 4. Lemon Balm (200mg): A “calming” herb that’s often used in combination with valerian or passionflower in herbal sleep formulas. The recommended dose, however, is 300mg – 500mg, up to 3 times/day. The 200mg in Lipoclen is rather underwhelming. 5. DMAE (125mg): A choline analog (and industrial chemical) that’s sometimes classified as a “smart drug,” DMAE is often found in various mood/cognitive enhancing supplements. Evidence that it’s useful is in short supply, however. 6. Ginger (100mg): A popular herbal remedy for nausea, ginger also possesses thermogenic, anti-inflammatory and antioxidant properties. Therapeutically, however, it’s used in much larger quantities than Lipoclen provides. 7. Juniper Berry (100mg): Another diuretic with antiseptic properties. 8. Senna Leaf (100mg): An herbal laxative. The active compounds, sennosides, are used in commercial laxatives (e.g. Senakot). Together, these 10 ingredients account for 2,125 mg (approx. 70%) of each 4-capsule serving. And they’re not likely to do much for you, beyond making you “go” a little more frequently. The one decent weight loss ingredient here (green tea) is not standardized and thus, almost certainly underdosed. The other 30 ingredients are crammed into the remaining 886mg. Most of these ingredients, like acai, flaxseed, noni, mangosteen and cayenne are either whole foods, spices or herbs – not high-potency extracts standardized for active compounds. Thus, it’s absurd to believe that the trivial 25mg – 50mg amounts provided in Lipoclen will accomplish anything at all, let alone eliminating “toxins” or boosting weight loss. 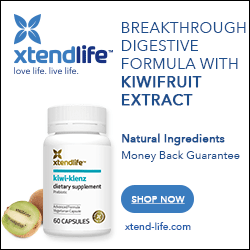 The only weight you’ll shed from this product is water – thanks to the diruetic/laxative component. If you manage to lose any fat, it will be due to your own, individual efforts. It’s not surprising to find that given its low-dosed ingredients, outrageous and inaccurate claims and vastly over-priced cost, Lipoclen isn’t a product I’d recommend. There are simply much better, more competitively-priced weight loss products on the market.